The 60 feet high Rumi Gate was constructed during the reign of Nawab Asaf-ud-Daula in 1784-86. 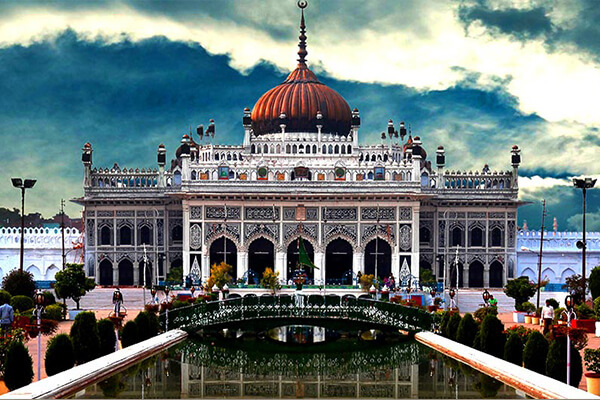 This large structure was built by Nawab Asaf-ud-Daula in 1786-91 and is one of the architectural wonders of that era. Its central hall is said to be the largest vaulted chamber in the world. Except for the galleries in the interior, there is no woodwork in the entire structure. It is now used by Shia Muslims for the purpose of Azadari. 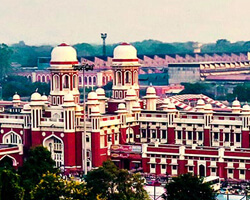 It is believed that the construction of this grand building was started in 1785 when a devastating famine had hit Awadh, and the nawab's objective was to provide employment for people in the region for almost a decade while the famine lasted. It has large underground passages which have been blocked up. A staircase from outside leads to a series of labyrinths known as Bhool-Bhulaiyan, which is a complicated entanglement of zig-zag passages. Visitors are advised to visit only with authorised guides. 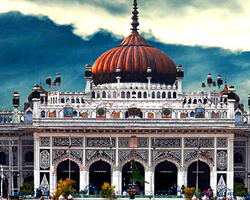 Within the compound of the Imambara is the grand Asafi Mosque. Shahi Baoli is another attraction here. A golden dome and fine calligraphy on the exterior of the building makes it a truly exceptional monument of Mughal architecture. It is decorated and lit up during special occasions. 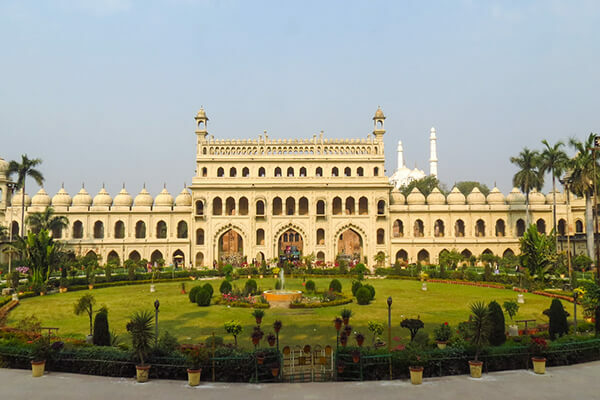 The Chhota Imambara also known as Hussainabad Imambara stands to the west of Bara Imambara and was built by Nawab Muhammad Ali Shah (1837-42). It is more ornate in design with gilded dome, several turrets, exquisite chandeliers said to be brought from Belgium, gilt-edged mirrors and colourful stuccos which adorn the interiors. 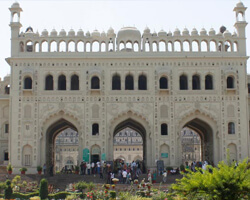 The tombs of Muhammad Ali Shah and other members of his family are inside the Imambara. It gives an ideal traditional warm welcome to every visitor. 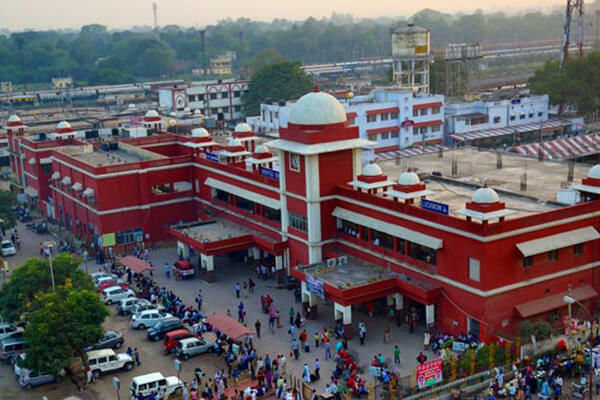 Overpowering in dimensions yet aesthetically designed, Charbagh railway station built in 1914 which incorporates the best of Rajasthani and Mughal architecture. 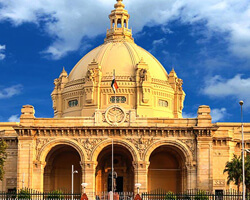 The foundation stone of the grand building of the Council House (Vidhan Bhawan) in Lucknow was laid by the then Governor Sir Spencer Harcourt Butler on December 15, 1922 and the building was inaugurated on February 21, 1928. The construction of the building was done by Messrs Martin and Co. The Chief Architects were Sir Swinon Jacob and Sri Heera Singh. 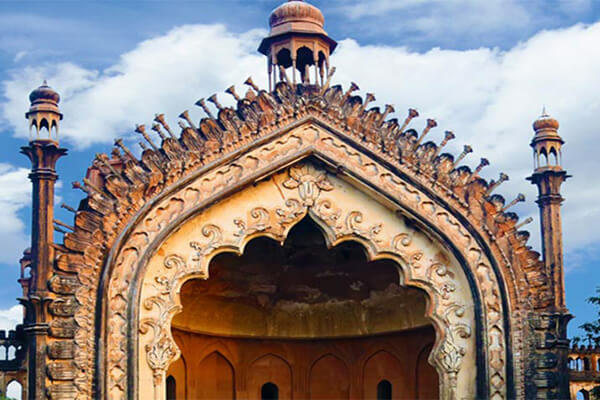 At that time a sum of Rs 21 lakh was sanctioned for the building.It is one of the finest examples of Indo-European architectural craftsmanship of the twentieth century. The front part of this crescent shaped two storeyed structure is built with carved light brown sandstone blocks from Mirzapur (Chunar). 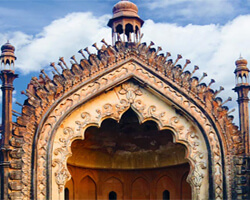 At the centre of the crescent is a large Gothic dome with an attractive "Chhatri" or sky light. Figures sculpted from stone blocks surround the facade of the dome. Above the tri-arched front of the portico is placed the State emblem (crest) carved in marble. Many of the inside halls, galleries and verandahs are built of Agra and Jaipur marble. Beautiful circular marble staircases run on both sides of the entrance hall. The walls of these staircases have now been embellished with beautiful paintings. The dome shaped Chamber is octagonal and its circular roof is decorated in attractive inlay-work. Its unique features are the beautiful figures of dancing peacocks decorated at intervals on this roof. The sittings of the Legislative Assembly are held in this hall. There are large lobbies for Members on both sides of this hall. In July, 1935 a proposal for construction of a new Chamber and office rooms for the new Legislative Council was made and the construction was entrusted to Messrs Ford and Macdonald. Under the supervision of the Public Works Department the extension was completed by Chief Architect A.L. Mortimer in 1937. 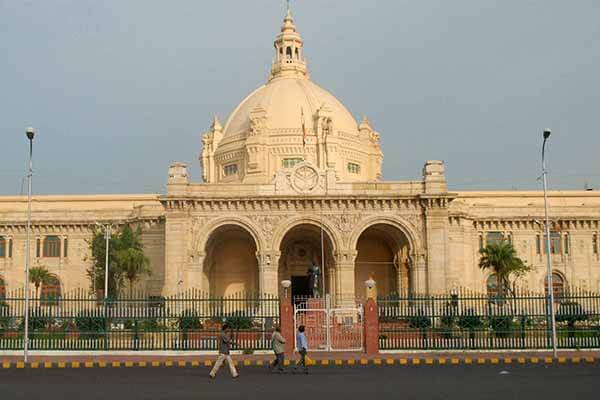 The building of the Legislative Council is connected to the main Vidhan Bhawan building by verandahs with rooms on both sides. The sittings of the Legislative Council are held here. A toy train for children is a major attraction within the zoo. The State Museum and Folk Arts Museum are also in the zoo campus. The Lucknow Zoo also known as Nawab Wazid Ali Shah Prani Udyan was established in 1921 to mark the visit of the then Prince of Wales to Lucknow. It was earlier known as Prince of Wales Zoological Gardens and is the oldest zoo in Northern India. 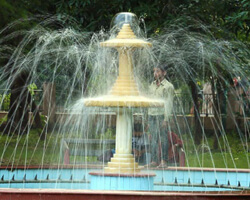 It is located in the heart of the city and is spread over 70 acre area. 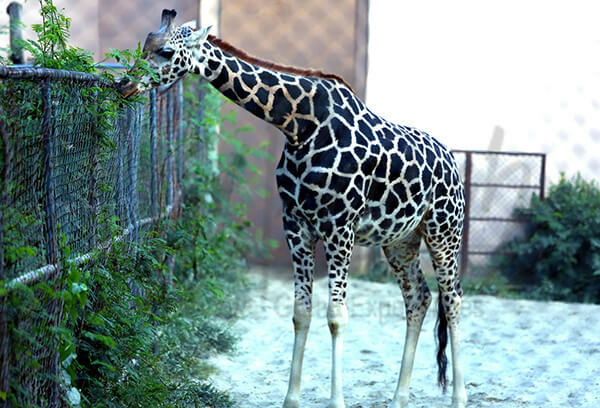 Among its attractions are hundreds of animals, reptiles and birds including wild animals.